New York Giants fullback John Conner is known around the NFL as “The Terminator” because of his hard-hitting, physical style of play as a lead blocker and special teams player. With the Giants running game in a state of flux due to injuries, Conner is hoping he’ll get an opportunity to add “punishing runner” to his job description. With the addition of Peyton Hillis to a backfield that already includes Brandon Jacobs and rookie Michael Cox, Conner probably won’t get much of an opportunity to get his hands on the ball. However, if Jacobs, who is nursing a hamstring strain, is limited and the coaches remain reluctant to put Cox on the field, Conner’s experience could come in handy if the team needs him to do more than just clear running lanes. Indeed he can. A former fifth-round (139th overall) draft pick of the New York Jets in 2010, Conner has 21 career rushing attempts for 88 yards (4.1 avg.) and two touchdowns. As a receiver, Conner has four receptions for 18 yards, totals that include two first-down catches. It’s his running ability, though, that is intriguing for a Giants rushing offense that through Week 6 is ranked 30th in rushing yards per game (87.8), and 27th in rushing yards per attempt (3.6). Historically, the Giants haven’t really turned much to their fullback to handle the ball. The last such fullback to receive a fair amount of touches was Charles Way, a 1995 sixth-round draft pick out of Virginia. A proficient lead blocker, Way also demonstrated that he could run the ball, averaging 4.0 yards per carry over the course of his five-year career. While Conner hasn’t had as many chances in his career, when he has been given the ball he’s averaged 4.1 yards per carry and has shown the same brute strength as a runner that he shows as a lead blocker. Conner’s toughness can be traced to, in part, his determination to remain in a league where the fullback position is being phased out in favor of tight ends. He spent the 2010 and 2011 seasons with the Jets, where he became a folk hero for his hard-nosed play that delighted everyone from the fans to his coaches. However, his time with the Jets was short lived, as in 2012, his third season, “The Terminator” proved to be human as injuries—a hamstring strain and MCL sprain—led to his release midseason. Conner joined the Cincinnati Bengals on Dec. 15, 2012 after they lost fullback Chris Pressley for the season. Conner appeared in two games for the Bengals, but did not record any stats in rushing or receiving. The Bengals invited Conner back to training camp this past summer, but when the final training camp cuts were made, head coach Marvin Lewis told Conner that the team would be going with tight end Orson Charles to fill their lead-blocking needs because Charles offered the team more flexibility. Conner wasn’t out of work for long. On Sept. 25, he was signed to a two-year contract with the Giants after the team placed Henry Hynoski on season-ending injured reserve with a fractured shoulder. Since joining the Giants, he’s been active for three games but has not touched the ball. Last week, in his third game as a Giant, he finally moved into the fullback role against the Chicago Bears, playing in 15 of the team’s 55 offensive snaps. According to an article in the Wall Street Journal, running back Brandon Jacobs, who finished with 106 yards on 22 carries (4.8 avg. ), averaged slightly more than five yards per carry on the dozen runs in which Conner was his lead blocker. 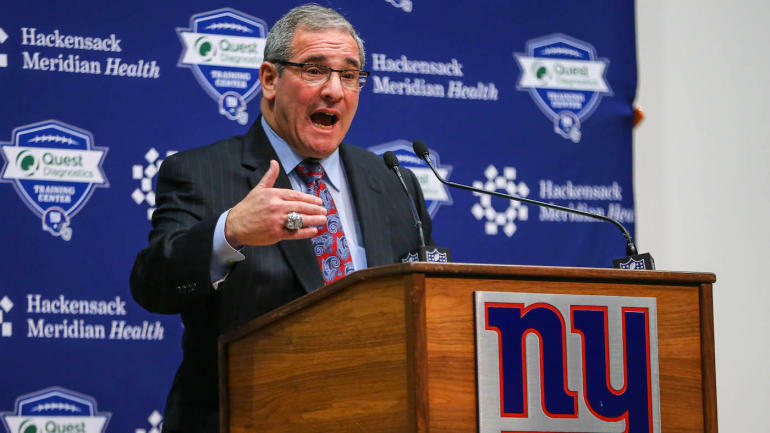 As is the case, though, with the Giants, before a running back can get opportunities he needs to demonstrate that he can handle the pass protection part of the job, something Conner said he’s been picking up since joining the Giants as a free agent. The reason why new running backs struggle with learning how to pass protect, Conner explained, is because the defense is constantly moving around. To help expedite his understanding of the pass protection schemes, Conner has been diligently studying film on his own and with Giants running backs coach Jerald Ingram during the running back’s meeting time. “We’ll be watching film and coach will point out the fronts and ask us who we have on the fronts and we kind of go like that, get a mental picture of everything before we run it live out in practice,” Conner said. Head coach Tom Coughlin, who earlier this week praised Conner and Cox for having a “pretty good practice,” said that Conner has progressed well in the Giants system to where he could be even more of a help in the running game moving forward. While the Giants still have several days before they have to sort out their running back picture for Monday night’s game against the Minnesota Vikings, Conner believes he can be ready for a larger role beyond lead blocking.